Ankylosaur tail clubs are odd structures, odder than they are usually given credit for. They represent substantial modifications to two different skeletal systems – the endoskeleton, in the form of the caudal vertebrae, and the dermal skeleton, in the form of the caudal osteoderms. The centra of the caudal vertebrae lengthen but stay robust, and the neural arches undergo huge changes, such that the prezygapophyses, postzygapophyses, and neural spine become a robust, V-shaped structure on the top of the centrum, and which creates a tightly interlocking vertebral series with almost no flexibility. We call this the handle of the tail club. The osteoderms at the tip of the tail smush together and two of them become huge: although the tail club knob is small in some species, there are colossal knobs exceeding 60 cm in width. The ankylosaur tail club represents one of the most extreme modifications to the tail in terrestrial tetrapods. Look at that thing. That is a weird thing. I’ve covered many of the North American ankylosaurs in my previous papers and blog posts. 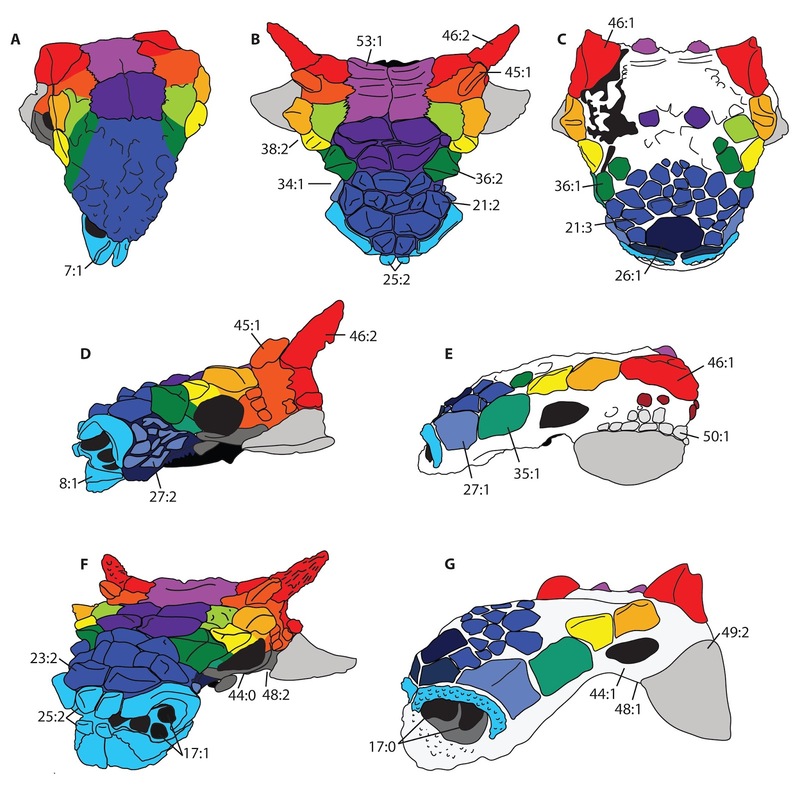 In 2013, I argued that what we thought was Euoplocephalus was more likely 4 taxa – Anodontosaurus, Dyoplosaurus, Scolosaurus, and Euoplocephalus proper. Then in 2014 we described a newankylosaurid, Ziapelta, from New Mexico. There are a few other taxa that had previously been proposed to be ankylosaurids, so let’s take a look at them here.